Grow Up will release for the PC, PlayStation 4 and Xbox One platforms on August 16, 2016. The game is the sequel to last year's surprisingly wonderful Grow Home, and its reveal trailer (from E3 2016) can be found above. 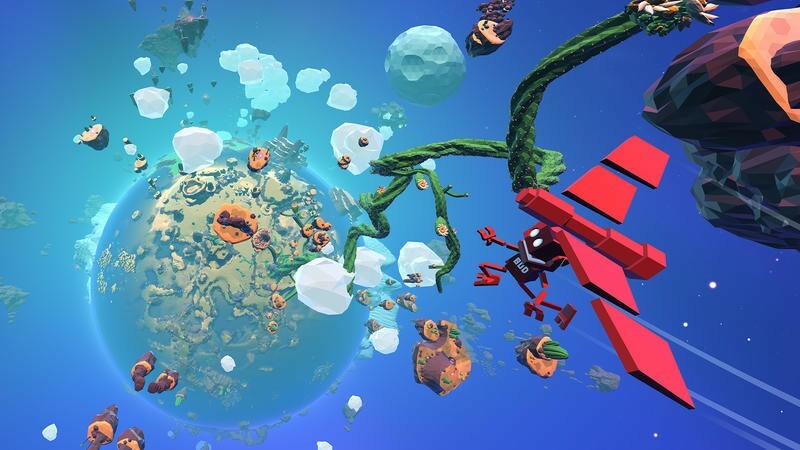 Grow Home started as a pet project for a few developers within Ubisoft. It was made for fun with friends, not for a wide release. The folks at Ubisoft played it and liked it so much, that they decided to polish it up and release it to the world last February on PC. It was praised by critics and sold well enough that they decided to bring it to the PlayStation 4 in September of the same year. The game tasks players with controlling B.U.D. in order to grow a giant plant that reaches his ship. It was basic and relatively small, but the game was a blast. Here's how Ubisoft describes Grow Up. Grow Up will have BUD leaping acrobatically through a new open-world to recover pieces of his lost spacecraft. Along with a new flying companion named POD, BUD will have access to his Floradex 3000, a device that enables him to clone the game's 24 distinct plant species that will ultimately help him bounce, shoot and catapult all the way to the moon. We'll have more on Grow Up as it comes.